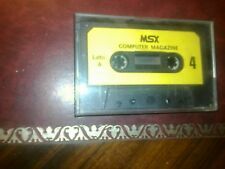 Home » Forum » MSX Talk » openMSX » Why? My question is rather simple. Is there a reason releases are so far apart... and specifically, very long time since last release? I mean you reach specific milestones? You are bored to compile it for the public? You hate people (mere mortals) that can't compile and they don't deserve it if they can't? (don't get this wrong, I heard this before) Space reasons? Bandwidth reasons? What? We release whenever we feel we've something to bring to the people without known serious regressons and we have time to do it. It's currently quite time to release, but there are still some things we'd like to solve before that. And for Linux it's very easy to compile openMSX yourself. For Mac it's probably also quite easy, but I don't have experience there. On OS X it is/was (been a while I've done it) quit easy and can be done as easily as on Linux. I find it easiest by installing the tools via MacPorts; first install XCode command line tools, then macports and the required development tools from there (for example, 'port install openmsx' -> should bring in the required dependencies). Actually, compiling anything (outside MacPorts, too) is as easy as on Linux, once you got the tools installed. Even writing your own port files is not that daunting a task (I've done some very simple ones myself for personal use in the past). What tells you that not many (Linux!) users are compiling stuff? Compiling stuff can be easy. Making OpenMSX compile is not easy because of the needed dependencies. I can compile it because I've done that a couple of times but it is always a bit of a search to try and install the correct libs to get it to compile with all the features. Why isn't there a script that compiles it for the user? OS X may seem complicated, but I told my experiences only to point out that if one is comfortable with the Linux/Unix way, same can be done there (also, because Manuel mentioned it and it seemed appropriate to share my experiences in the context). There may be more OS X specific (without MacPorts) ways of compiling - such as a XCode project file or something, but I have not looked into it. All required and optional components can be built. I think that output of configure script will give quite a good hint what libraries are missing (if any are missing). 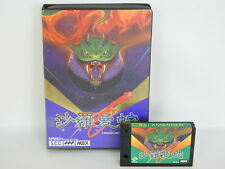 I really think it is worth learning to compile yourself, since learning this stuff will enable one to compile a lot more software (than just OpenMSX), since the general procedure is the same. There's also the large delay caused by the distributions, since only a few of them are rolling release, and hence will lack behind (and I would not recommend a rolling-release distribution if you are not experienced with Linuxes and are not prepared to deal with breakage). It's always funny to see how "Linux people" say: "Just compile it yourself it's easy..."
I thought Linux had a visual interface with 3d blocks, so simple even a kid could operate it!